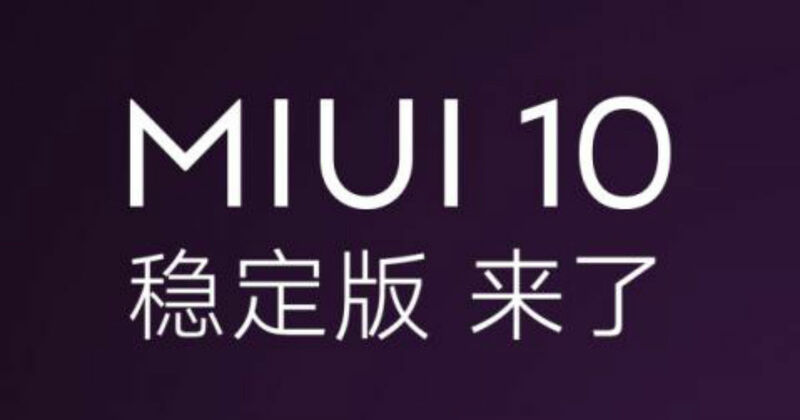 Xiaomi has started rolling out MIUI 10 Stable Edition to a new set of devices, the company confirmed today. The software update will be available for a second batch of 20 Xiaomi phones. These include from the Redmi series the Redmi 4, Redmi 4 Prime, Redmi 4A, Redmi 4X, Redmi 5A, Redmi 5 Plus, and Redmi Pro. In the Redmi Note series, the stable MIUI 10 update is coming to Redmi Note 3, Redmi Note 4, Redmi 4X, Redmi Note 4 MediaTek version, Redmi Note 4 Qualcomm version, Redmi 5A, and Redmi 5A Prime. Lastly, the updating is rolling out to Mi 4, Mi 4C, Mi 4S, Mi 5s, Mi 5s Plus, Mi Max, Mi Max Prime, and Mi Max 2 in the Mi series. Users will be able to install it either through an OTA update or by downloading the ROM of the eligible Xiaomi and installing it manually. Xiaomi first unveiled MIUI 10 software, based on Android Oreo, in May this year and focused on gesture support and full-screen experiences. Some of its most prominent features include a more customised gesture based navigation compared to stock Android, new recents menu, picture-in-picture mode, MIUI Lab, autofill support and wide array of AI features. Xiaomi even improved its screen recording feature with MIUI 10, allowing it to record the system sounds in addition to the visual. Earlier in September Xiaomi had blessed the first batch of its smartphone with MIUI 10, a list that included some of its more premium devices like Mi 8 SE, Mi MIX 2 and Mi 6X among others. Another popular entrant in the Xiaomi franchise, Poco F1 started receiving the latest UI version earlier this month. The new MIUI update for Poco F1 comes with version MIUI 10.0.4.0.OEJMIFH and measures 592MB in terms of size and carries along with it the Android security patch for the month of October.